Based on the Ayurvedic System,it is a special blend of precious natural extracts and oils.Containing..
L'Oréal Paris Brow Stylist Frame and Set, Light Brunette, 0.08 oz. L'Oréal Paris Brow Stylist Kabuki Blender Brow Crayon, Brunette, 0.05 oz. 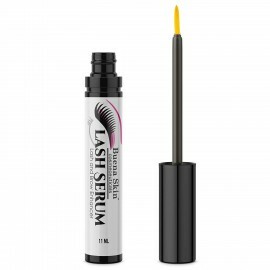 REAL RESULTS - Using a powerful peptide formula, our product will renew your lashes without eye i..
L'Oréal Paris Brow Stylist Sculptor, Dark Brunette, 0.048 oz. L'Oréal Paris Brow Stylist Definer Pencil, Brunette, 0.003 oz. L'Oréal Paris Brow Stylist Definer Pencil, Blonde, 0.003 oz. L'Oréal Paris Brow Stylist Definer Pencil, Dark Brunette, 0.003 oz.